Tudors. 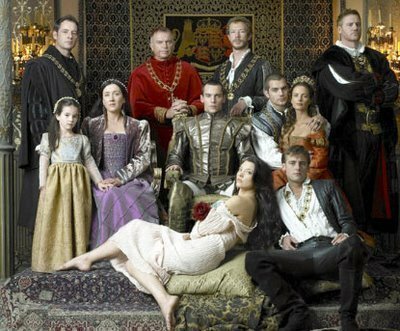 Season 1 foto of the Tudors. Dead characters in this photo: Thomas More, Wolsey, William Compton, Duke of Buckingham, Katherine, Margaret Tudor, Anne Boleyn, George Boleyn. Only Henry, Charles Brandon, and Mary are still alive from this photo.. Wallpaper and background images in the The Tudors club tagged: tudors showtime the tudors king henry viii mary anne boleyn. This The Tudors photo contains tanda, poster, teks, and papan tulis. There might also be jalan, pemandangan kota, perkotaan, kota adegan, perkotaan pengaturan, tabard, and ruang tamu.